The Gulf states are known for the very high quality of both their airlines (Etihad and Qatar Airways) and their tourist attractions and hotels (Burj Khalifa and Atlantis the Palm). 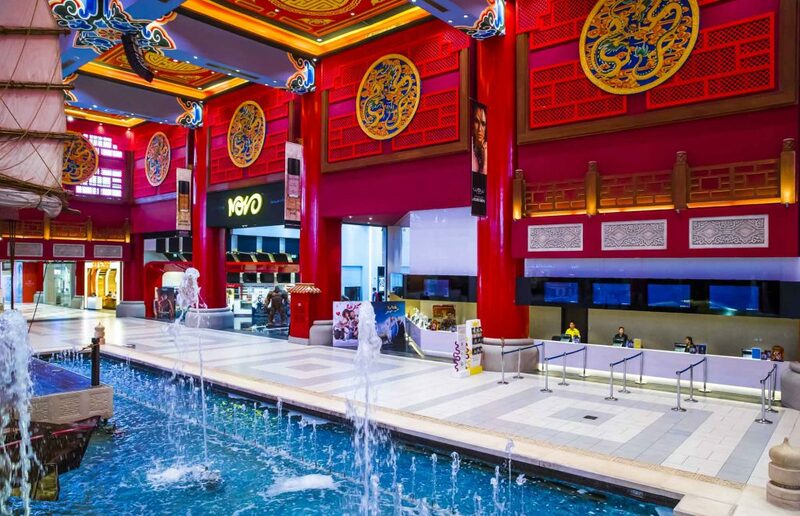 Less well known is that they have some of the most sophisticated multiplexes in the world that set new standards in design, technology, service and food offerings. Ms. Debbie Stanford-Kristiansen is the CEO of one of these ultra-high end exhibitors, Novo Cinemas which spans U.A.E., Qatar and Bahrain, and she is the first executive to feature in our new monthly feature ‘CJ Interviews...’ She recently came fourth in CJ’s first ever annual Top 25 Women in Cinema Business as well as being the recipient of the 2015 Asia Retail Leadership Award. With a background in hospitality and trade shows Ms. Stanford- Kristiansen rose to the position of CEO of Novo in 2013 and quickly made her mark on the company, positioning Novo’s cinemas as more than just movie venues to state-of- the-art destination for a variety of entertainment opportunities. 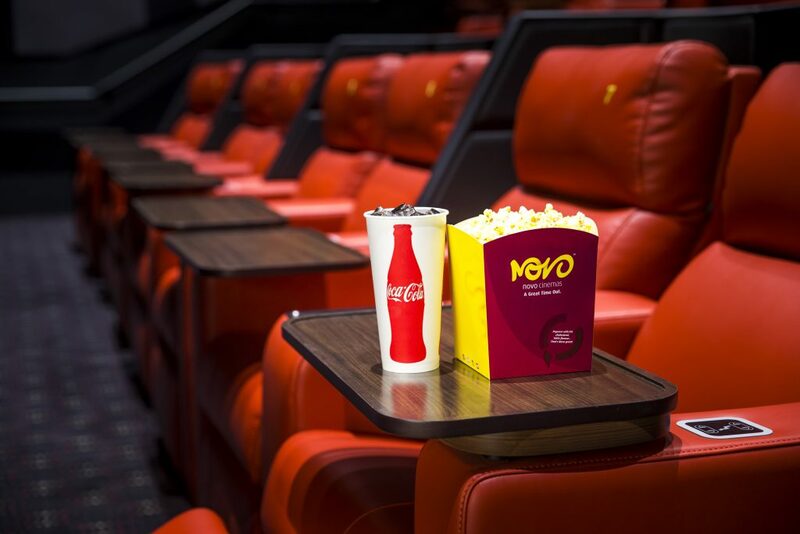 She has pushed Novo’s geographic expansion to make it the Middle East’s largest cinema chain, partnered Imax and Coca-Cola as well as overseen the opening of ‘Seven Star’ theatre experience with individual iPads at the seats of food and beverage ordering and innovation such as dedicated kids’ screens. Debbie Stanford-Kristiansen: I remember it as if it were yesterday. Every Saturday morning, we went to the children’s movie screenings at the Roxy Theatre in Sussex, England – my siblings and I were seated in the regal theatre which was always full of surprises behind its grand, red velvet curtains and striking gold applique which adorned the high ceilings. It was a classic setting with magnificent balconies, the smell of popcorn and glamorous ushers, who sold ice cream tubs on a wooden tray during the 15-minute interval. My favourite childhood movies were the great classics such as “Mary Poppins”, “Bedknobs and Broomsticks” and “Bugsy Malone”. They bring back fond memories of what it was like to watch a movie as a child and how exciting and magical every visit was. As a family my parents took us to watch a movie at least once a month, we always looked forward to it as it was such a special treat. Keeping these great memories in mind, we’re hoping to transform Novo Cinemas to continue to provide the same warmth and magic of the cinematic experience, whilst providing the best and latest trends, technologies and developments in the industry. CJ: What qualities or skills do you feel helps you to be a good cinema CEO? Debbie Stanford-Kristiansen: One of the alluring traits of the cinema industry is every single day is different. With the amount of blockbuster and niche films we deal with on a daily basis, our fantastic team’s creativity and zest for the job are limitless! As a CEO, providing support and encouragement towards the team is crucial. If you wake up in the morning and are energised to go to work, you are in the right business. When you take good care of your team, they take good care of your brand. I’m passionate about our brand and passionate about the team I have, and that’s reflected in the ongoing success of Novo and the growth and expansion in the region. CJ: Your background before Novo was in hospitality, with convention and events business experience; what learning did you take away from that, which have helped you in your current job? Debbie Stanford-Kristiansen: Some key learnings I have developed are to be adaptable and flexible. There is a tremendous synergy between the MICE (Meetings, Incentives, Conferences and Exhibitions) and the hospitality and entertainment sectors. At the end of the day, it is all about the customer experience. The whole journey is important, from the moment a person decides to visit the cinema we aim to provide the ultimate experience and the very best in hospitality, for us it is about adding the WOW factor. I’m fortunate to come from a background where I was managing a convention centre and whilst on face value it is a different type of space, it was ultimately used for the enjoyment of others. A place of bringing people together for a memorable shared experience, so moving into the entertainment industry was almost a natural progression, where I can understand and anticipate consumer demands and client expectations. I see challenges as a great opportunity as that is where growth happens. The learning experience never stops and every day is an opportunity to explore new turfs and broaden your mind set. Change is inevitable and it’s up to you to adjust accordingly and use it to the best of your brand’s ability. CJ: Are there any challenges in being a westerner working in the Middle East, particularly as a female executive? Debbie Stanford-Kristiansen: The industry as a whole is definitely male-dominated, but our owners ELAN Group have been very supportive since day one. If you have the level of support you require within the organisation then anything is achievable, thankfully I have great leadership supporting me and it is always onwards and upwards with Novo Cinemas. The overall success of the brand is based on the foundation of supportive management. It is down to me to let each and every member of my team realise their importance. We are a well-oiled machine and my intention is to ensure it remains that way. Debbie Stanford-Kristiansen: Securing the right partnerships and looking for new business opportunities in terms of new markets and new locations takes a considerable amount of time, but it is worth it as showcased with landmark content and confectionary deals with beIN Sports and Coca-Cola. As we continue to progress, we get to partner with key global brands which allows us to offer increased added value for our customers. Our strategic regional expansion is also a key priority and we can’t wait to unveil our latest developments and share what we have in store! Debbie Stanford-Kristiansen: Cinema trends are driven by the customer. A recent example would be the upsurge in superhero films. Fortunately for us, the team comprises of superhero enthusiasts and they can sniff out the latest gossip even before it goes viral! This is definitely exciting for me because our MENA demographics show that a majority of our viewers are massive fans of this genre. Bollywood is equally as popular in this part of the world, particularly in the UAE and it creates a great level of excitement for our guests. Our new 7-star premium offering is also proving to be a big hit. It combines valet parking, VIP entrances, VIP lounges, in-house chefs, fully reclining leather seats with blankets and pillows and iPad ordering systems for ultimate comfort from your recliner, all served by our team of enthusiastic butlers. Novo is paving the way for a refined, unseen before cinema experience. CJ: You recently spoke about the importance of “brand modesty”. Could you elaborate on how you see this customer-facing issue? 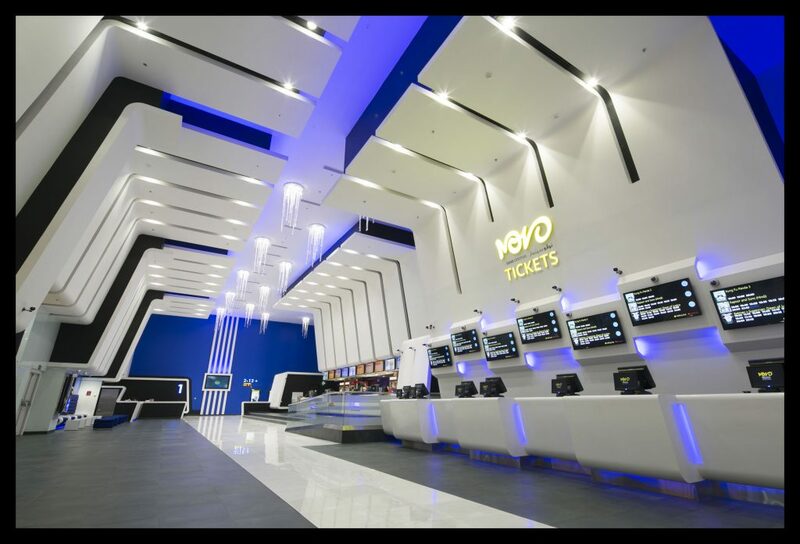 Debbie Stanford-Kristiansen: The industry is a very competitive one but customers who have been with us since our inception embrace the vision behind Novo Cinemas, to provide a great time out to the movie buff or casual viewer. Brand modesty isn’t about being passive, but about letting the efforts and end results speak for themselves. We do everything we can to ensure positive customer experiences and customer satisfaction remains at the heart of everything we do in Novo. CJ: Does that mean there is enough staff training to make the cinema industry a stand out as a service industry, or could the business as a whole be doing more? Debbie Stanford-Kristiansen: The standards of the brand are reflected by the employee. Training at Novo is done on a regular basis to arm our team with tips and trends that would be useful to them and benefit our customers. As a cinema we strive to provide new experiences, whether that is through partnerships, content or operational and infrastructure excellence. As a business, we are venturing to new turf seeking to revolutionise the cinema industry as a whole – watch this space because there are some exciting announcements coming! CJ: What are the key challenges you see facing the cinema industry today? Are there any challenges specific to the UAE/the Gulf? Debbie Stanford-Kristiansen: Consumer behaviour continues to evolve and technological advances and broadening broadcast avenues make it easier for people to watch whatever they please in their own living room. In this part of the world, going to the cinema is still a top leisure activity though. It is considered an event where people can go together as a family or a group of friends and have fun. The great thing about the cinema is that it’s still an affordable escapism, a place where people can come together to switch off from everything else around them for a couple of hours and sit back, relax and enjoy the movie. We see a great opportunity here to provide a completely dynamic offering, encouraging customers to keep coming back again and again. CJ: Do you see the current rate of growth for Novo and its fellow Gulf operators continuing and will consolidation be an issue down the line? What is Novo doing to distinguish itself from its competitors? Debbie Stanford-Kristiansen: As long as there are movie fans in the region, Novo Cinemas will continue to seize opportunities to expand and explore new services for our customers. There is always space for brands to showcase their own strengths and achievements. We remain a pioneering brand and innovation is key, alongside understanding your customers’ needs for any operator to continue to be successful. 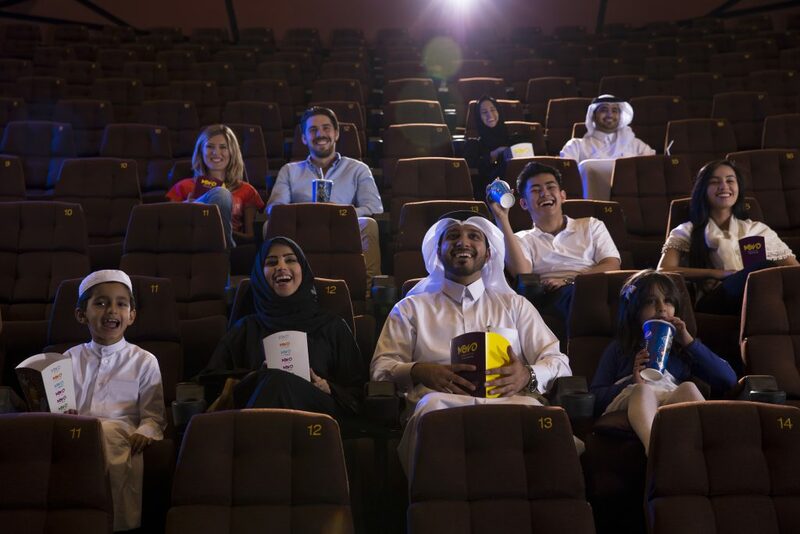 Since its inception in 2000, Novo Cinemas has witnessed exponential growth operating now at 15 locations across the UAE, Qatar and Bahrain. By the end of this year, our ongoing expansion plans are set increase screens by 55%. This is alongside a robust renovation plan to ensure our existing cinema infrastructure is able to provide the 7-star experience our guests have come to love. 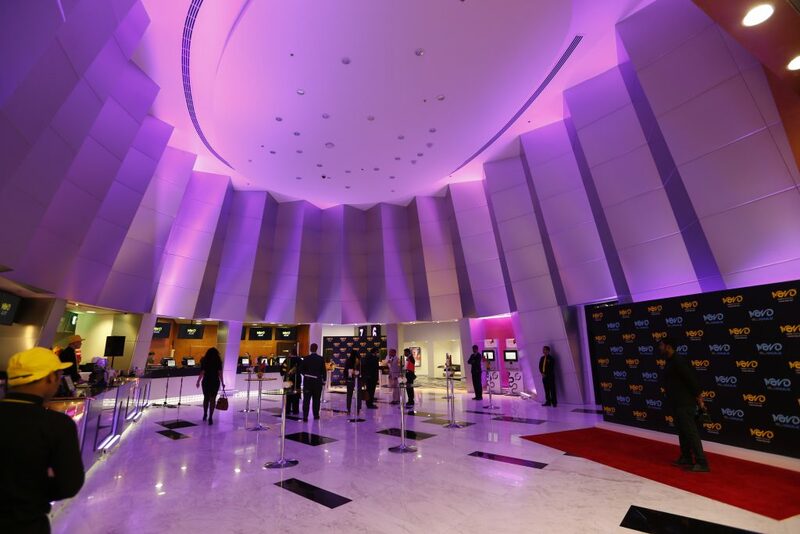 CJ: Cinema operators in the Gulf seem to excel at providing VIP cinema venues and experiences. Is there anything the rest of the world could be learning? Debbie Stanford-Kristiansen: Apart from upgrading the venues and VIP services, it’s important to educate the employees about the brand, as well as the movies they are offering to customers. Providing that personal touch to the service creates a more memorable experience for every movie-goer. We view our employees as our greatest Brand Ambassadors, making sure every customer feels welcome, special and truly valued. 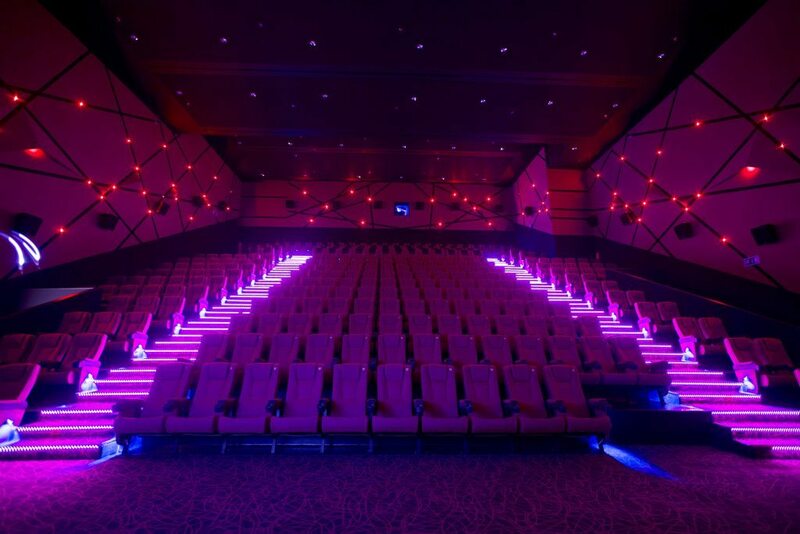 Customers have a choice and we want ensure Novo is their preferred cinematic destination because of the way we make them feel and the experiences we provide. CJ: What new technologies is Novo looking to invest in over the coming couple of years? Debbie Stanford-Kristiansen: Novo Cinemas was the first to bring IMAX for Middle East movie enthusiasts and soon IMAX with Laser. By 2017 we will have no fewer than six IMAX theatres, making Novo the largest provider of IMAX theatres in the region. We are looking forward to implementing new technology as it becomes available and we never rest on our laurels, we are constantly seeking out new offerings and striving for excellence. Debbie Stanford-Kristiansen: For me, Richard Branson is an inspiring entrepreneur and leader. From an idea, he created an empire that has taken the world by storm. His mind set is constantly evolving while staying true to his vision. As a leader, it is easy to see he treats every employee with care. When you know the worth of your team, you know they will heighten your brand to reach unthinkable successes. Sheikh Mohammed Bin Rashid Al Maktoum is another inspirational figure. Being the ruler of Dubai for a decade and counting, he has not only defied the economic crisis, but continues to make the emirate great. As he has shared in his book ‘Flashes of Thought;’ “A true leader does not derive power from his position but from his ethics, from people’s love for him, and from his knowledge, education and excellence in his field of work”. Debbie Stanford-Kristiansen: Optimism in the face of adversity is the true test of one’s vision. The progress and success that the Novo brand has experienced didn’t come without hurdles, but it’s these hurdles which allow us the opportunities to outdo ourselves. We continue to explore new paths, uncover new possibilities and evolve as a whole. As we evolve, we will ensure to remain true to our brand’s vision, to provide a great time out, time and time again. CJ: Thank you for taking the time to speak to us. UPDATE: This article was edited on 25 May 2016. 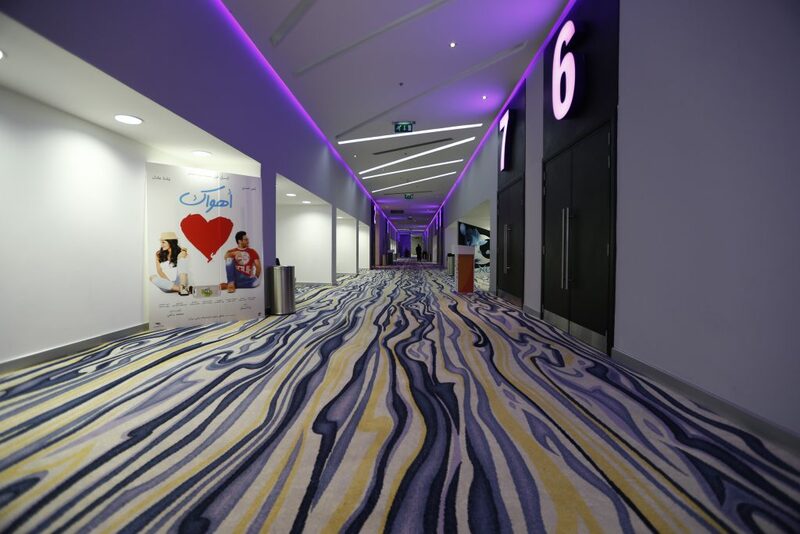 Images supplied by Novo Cinemas were withdrawn at the request of Novo Cinemas. Replacement images were later supplied by Novo Cinemas.